Sharm El Sheikh Car Rental | Get Special Offers on Car Hire at Sharm El Sheikh - Book Now! Located at the southern tip of the Sinai Peninsula in Egypt, Sharm El-Sheikh is a famous port and resort town. Popular among package holiday makers and divers, Sharm El-Sheikh attracts thousands of tourists from all over the world. Sharm el-Sheikh is popularly called the City of Peace as many international peace conferences are held there. The clear and calm waters, year-round dry and temperate climate, mesmerizing landscapes, long stretches of natural beaches, numerous water sports and other fun activities make Sharm El-Sheikh the perfect place to spend a great holiday with family. Renting a car is the perfect way through which the travelers can explore this beautiful city and its amazing attractions. Sharm El-Sheikh is one of the famous diving spots of the world which receives thousands of divers. Sharm El-Sheikh has a collection of amazing restaurants, bars and night clubs. Na'ama Bay is the centre of nightlife and excellent restaurants and hotels. Sharm El-Sheikh is served by the Sharm el-Sheikh Airport. The travelers arriving at the airport can hire a car with Egypt Cars Rental and reach their desired destinations at their own terms. The travelers can have a wonderful and memorable experience at Sinai Peninsula which is a beautiful desert mountain range. The travelers in their hired cars can drive to Sharm Old Town which is the old traditional market of the city. Why choose Egypt Cars Rental? 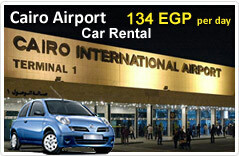 Egypt Cars Rental is one of the leading car hire providers in Egypt. Egypt Cars Rental offers the travelers with cheap and reliable car hire along with an exclusive range of cars. At Egypt Cars Rental the travelers can find extremely low prices and top-notch car hire service. The travelers can reserve the cars in advance on phone or online by logging to www.egyptcarsrental.com and pick the cars from the chosen rental location. Seen a lower price? Let us know .